Load USD, EUR, GBP, NZD, CAD, HKD, JPY, SGD, THB & AUD onto your card. Wherever Mastercard is accepted, your card is accepted; including at ATMs. It's easy - you can do it online from the comfort of your lounge, or pop into one of our stores. Once you're set up online (after an ID check and payment is processed!) you can manage your card, check your balance and transcation history and continue to load spending money all online too. To be safe, we won't take online orders if you're departing within 14 days as the card can take up to 2 weeks for delivery. But visit us in store and we can arrange an instant-issue card for you then and there! Don't forget to bring your Australian passport or driver's licence when you visit us in store. You'll be able to purchase an instant issue card (meaning, you can grab it over the counter and walk out with it ready to go), or order a personalised card (will have your name printed on the front) to be sent to your home address. Already have a Currency Card? 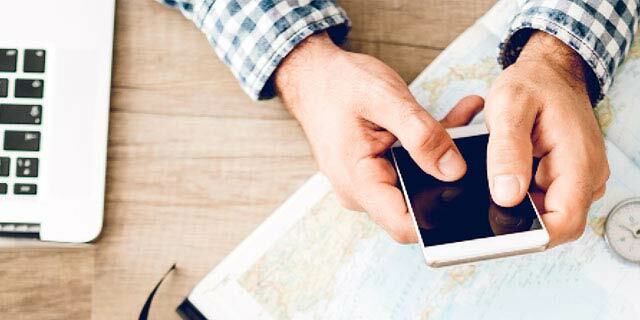 If you already have a Travel Money Oz Currency Pass (or Key to the World Currency Card), log in to the Travel Money Oz portal to view your balance, reload and see your transaction history. Mastercard Prepaid Management Services Australia Pty Ltd (ABN 47 145 452 044, AFSL 386 837) arranges for the issue of the Currency Pass in conjunction with the issuer, Heritage Bank Limited (ABN 32 087 652 024, AFSL 240 984). You should consider the Product Disclosure Statement for the relevant product available at Travel Money Oz's website before deciding to acquire the product. Any advice does not take into account your personal needs, financial circumstances or objectives and you should consider if it is appropriate for you. Exchange rates for initial loads and subsequent reloads made using methods available via Travel Money Oz's website will be set at the prevailing exchange rate set out at Travel Money Oz's website at the time of your request, provided you settle the transaction within four hours. Different exchange rates apply for loads initiated using other methods. If you initiate a load or reload other than via Travel Money Oz's website, the exchange rate applied will be the prevailing exchange rate at the time the payment is processed and the funds are received into your facility. For more information on how exchange rates are set and applied, please see the Product Disclosure Statement. 1. LOAD and SAVE applies to any new transactions (including new cards or reloads) made between 12:01am AEDT on 1 March 2019 to 11:59pm AEDT on 30 April 2019. 2. LOAD and SAVE only applies to purchases of eligible foreign currencies on the Travel Money Oz Currency Pass (see paragraph 3 below) online at travelmoneyoz.com, at the advertised exchange rate at the election of the customer. 3. Eligible foreign currencies include USD, EUR, GBP, NZD, CAD, HKD, JPY, SGD and THB (“Eligible Foreign Currencies”). 4. LOAD and SAVE online transactions applies to transactions made via debit/credit card only and does not apply to bpay or bank transfer payment options. 5. LOAD and SAVE cannot be applied when purchasing foreign cash in store or online. 6. A customer must spend the minimum tiers (see paragraph 7 below) in AUD equivalent in the chosen Eligible Foreign Currencies for LOAD and SAVE to apply. No AUD loads will qualify for LOAD and SAVE. The LOAD and SAVE minimum spend, and SAVE amount is displayed in AUD. 8. The customer will receive the saving in AUD equivalent in the chosen Eligible Foreign Currencies off their initial transaction only depending on the minimum spend based on the tiers set out above. 9. One saving per card transaction. 10. A customer cannot split a transaction in order to receive numerous savings. 11. Travel Money Oz reserves the right to amend Eligible Foreign Currencies at any time without notice. 12. Travel Money Oz reserves the right to withdraw the LOAD and SAVE offer at any time without notice. 13. LOAD and SAVE is available to customers for personal use only. Foreign currency wholesalers, other financial institutions or currency providers are not eligible for the LOAD and SAVE offer. Travel Money Oz consultants reserve the right to refuse transactions that they suspect are not for personal use. 14. Mastercard Prepaid Management Services Australia Pty Ltd (ABN 47 145 452 044, AFSL 386 837) arranges for the issue of the Currency Pass in conjunction with the issuer, Heritage Bank Limited (ABN 32 087 652 024, AFSL 240 984). You should consider the Product Disclosure Statement for the relevant product available at Travel Money Oz's website before deciding to acquire the product. Any advice does not take into account your personal needs, financial circumstances or objectives and you should consider if it is appropriate for you. Mastercard® is a registered trademark, and the circles design is a trademark of Mastercard International Incorporated. Once you've got your Currency Pass card, you can enjoy access to Priceless Cities. Manage your Currency Card via the new Travel Money Oz app. Tips and tricks on how to use your currency card, including how to avoid fees. Get all the details of our travel money card fees and limits. We're not a fan of hidden extras. If you are needing currency that isn't one of our 10, you can load AUD and not get any conversion fees. We'll always have our top currencies in store or you will receive up to $100. With our expertise, you'll be leaving with what you need. If the exchange rate changes within 14 days, you will get the difference. Take off with more. If you find a better price, we'll guarantee to beat it.